The new Twitter account posts stories from publishing partners that are deep-linked to the News app on iOS. All the news that’s fit to tweet? 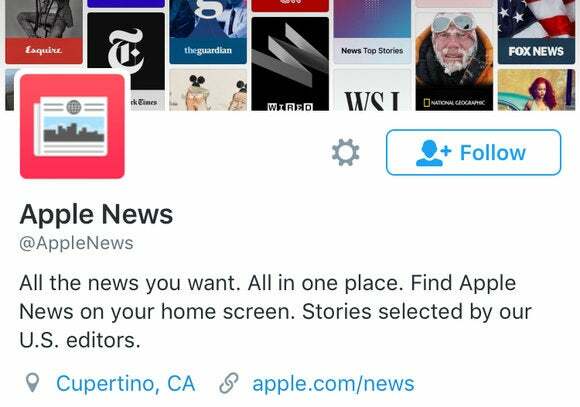 Apple News now has a Twitter account dedicated entirely to promoting stories from the app’s publishing partners like CNN and Wired. @AppleNews began tweeting on Tuesday morning, promising to deliver “top stories & great reads from your favorite publishers, curated by our U.S. editors.” There is also an Australian version that you can follow: @AppleNewsAU. This seems to be Apple’s latest effort to attract new readers to its fledgling News app released last year as part of iOS 9. So far, @AppleNews has tweeted an article at the top of every hour from 10 a.m. to 1 p.m. Pacific. The article links use custom apple.co URLs that are deep-linked the News app. Clicking the links on a device running iOS 9 or later launches the News app so you can read the story there. 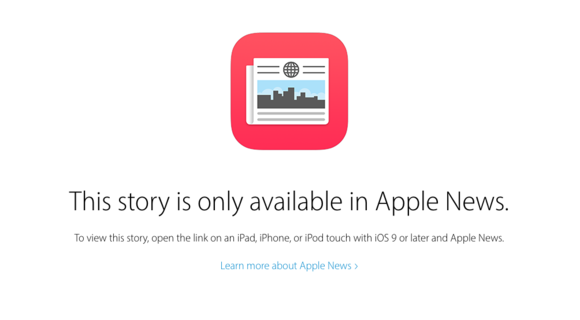 If you click on the custom links on a desktop or you have the News app disabled, the apple.co links will try to re-direct you to the publishers website with the story. Or, you might encounter this little road-block. Why this matters: Publishers were quick to be a part of a new content app that would be pre-installed on every iPhone running the latest iOS, but it’s not yet clear whether Apple News has been a success in terms of turning iPhone users into regular news-junkies. Even Apple doesn’t seem to have a clue as to how exactly many people use the app. Regardless, Apple clearly wants more people using News and has turned to social media to promote it. This is not the only Apple property that is trying to build a presence on Twitter. 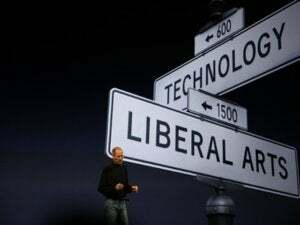 The App Store, iTunes, iBooks, and Podcasts are all already on Twitter. Apple Music has three Twitter accounts: a main account, one dedicated to its Beats 1 nonstop radio show, and a support page. In fact, Apple Music has a very robust social media presence all around, with over a million Facebook fans. It might be tempting for Apple News to follow in those social footsteps, especially since Facebook—like Twitter—is where people turn to find their daily news. Even though Facebook is also engaged in the content war with its Instant Articles, could a Facebook page for Apple News be next?